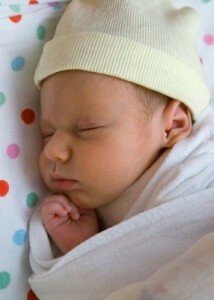 Does your baby have sleeping problems? Have you been told that the problem will fade over time? This may not be true, according to a recent study conducted by the Cincinnati Children’s Hospital Medical Center in Ohio. Published in the journal Pediatrics, the study investigated the sleeping habits of 250 children. Mothers of the children were surveyed at 12 months, 24 months, 36 months and six-years-old. For children that started out with no sleep problems, the chances of developing a sleep problem later on were rather slim. For children who displayed sleeping problems during infancy and toddlerhood, however, the story was a bit different. Approximately 21 to 35 out of 100 children who had sleep problems early in life continued to have sleep problems later in life. Overall, one in 10 children who had issues before age three were more likely to have problems like nightmares, trouble falling asleep, night wakings and an inability to sleep in their own bed. Unfortunately, parents are misled by others when it comes to dealing with sleep problems in their children by pediatricians, family members and friends. “Oftentimes the message is, ‘Don’t worry about Susie, this is typical and it will get better,” stated lead author and pediatric psychologist Kelly Byars. But according to the data, this just isn’t the case. To make matters worse, children who have sleep problems are more likely to have mood, attention, leaning and developmental problems. Add these issues to a sleepy parent, and you can easily see how this can become a toxic situation. So what should parents do to remedy their child’s sleeping problems? Meltzer says that a consistent bedtime routine and sleeping schedule can help.